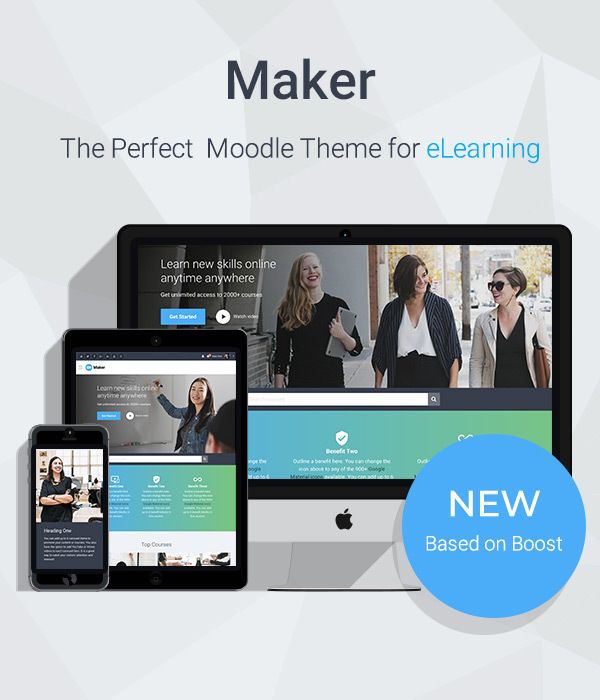 If your Moodle site’s default language is not English and you are using our Moodle theme Gourmet or Herald you might want to translate some of the theme specific text strings to your site’s default language. In this tutorial, we will show you how to translate the default theme words and phrases. Click the “Open language pack for editing” button and continue as instructed. 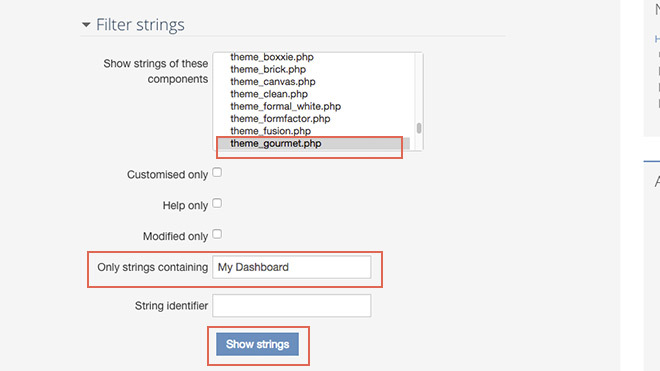 If you are using the Gourmet theme, you need to select theme_gourmet.php in the selection box. If you are using the Herald theme, you need to select theme_herald.php instead. Go to the “Only strings containing” filter box and enter “My Dashboard” (or any other text you want to replace it with, without the quotation marks). 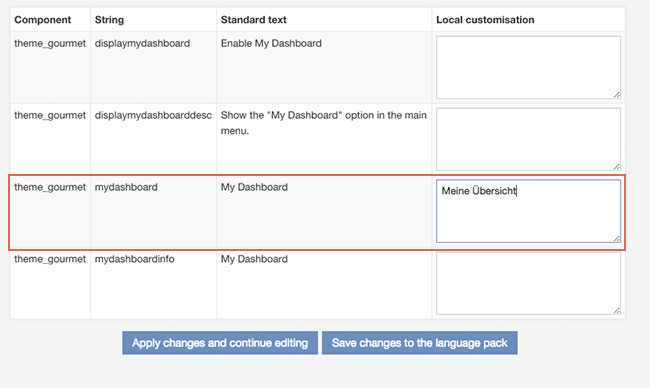 In the Local customization box, enter the text in the language you want to translate to. For German, this would be “Meine Übersicht”. Save the changes to the language pack.